Brazilian supermodel Adriana Lima took part in sparring sessions with children and adolescents in a local boxing gym during a visit to Rio de Janeiro this month. The IWC brand ambassador’s sparring partners participate in the “Fight for Peace” (“Luta pela Paz”) project of the Laureus Sport for Good Foundation, which the Swiss luxury watch manufacturer has actively supported since 2005. The project combines sport with education to help inspire young people. While on location in Rio de Janeiro shooting the boxing-inspired Brazilian Vogue August cover story, IWC brand ambassador Adriana Lima took time to meet with local children from the Laureus-supported “Fight for Peace” project in a local boxing gym. Featuring a braided hairstyle, black sweatpants and boxing gloves in red for one session, silver for the other, the Brazilian supermodel sparred with adolescents and their trainer as the younger children watched in awe. “I feel very honoured to have the chance to be in the ring and share my passion for boxing with these children. This project improves their self-esteem and shows them how much they’re worth and how much they’re capable of. It’s a beautiful thing”, said Lima, who has been boxing as part of her personal fitness regime for over 10 years. IWC Schaffhausen has been a dedicated Global Partner of Laureus Sport for Good since 2005. Supporting disadvantaged children and teenagers is a cornerstone of the Swiss luxury watch manufacturer’s corporate social responsibility. 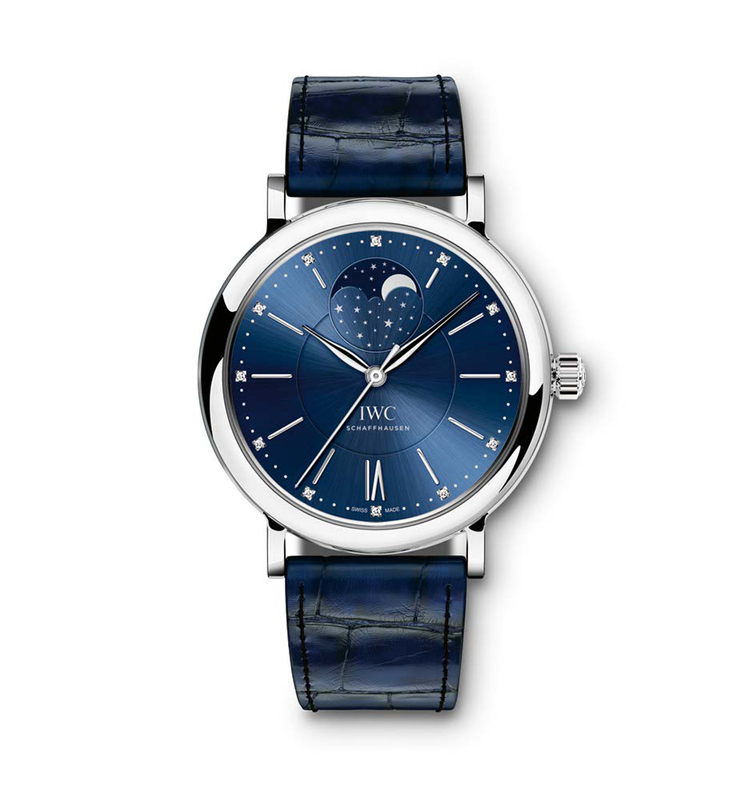 Earlier this year, IWC Schaffhausen introduced the Portofino Automatic Moon Phase 37 Edition “Laureus Sport for Good Foundation” (Ref. IW459006). 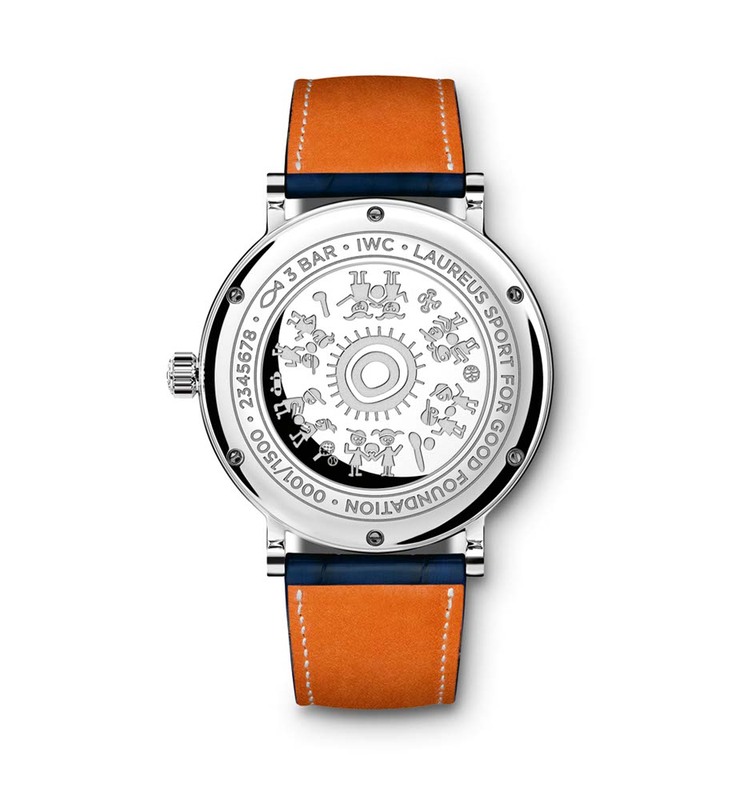 The timepiece is limited to 1,500 pieces worldwide and is the tenth special-edition IWC created to support Laureus. The engraving on the case back features a drawing by Eleni Partakki from Cyprus showing girls and boys playing with a ball. The 16-year-old is a participant of a Laureus project that actively encourages Greek-Cypriot and Turkish-Cypriot boys and girls to play basketball together.